Disposal of plastic waste has emerged as an important environmental challenge in the Middle East where plastics make up as much as one-tenth of the solid waste stream. 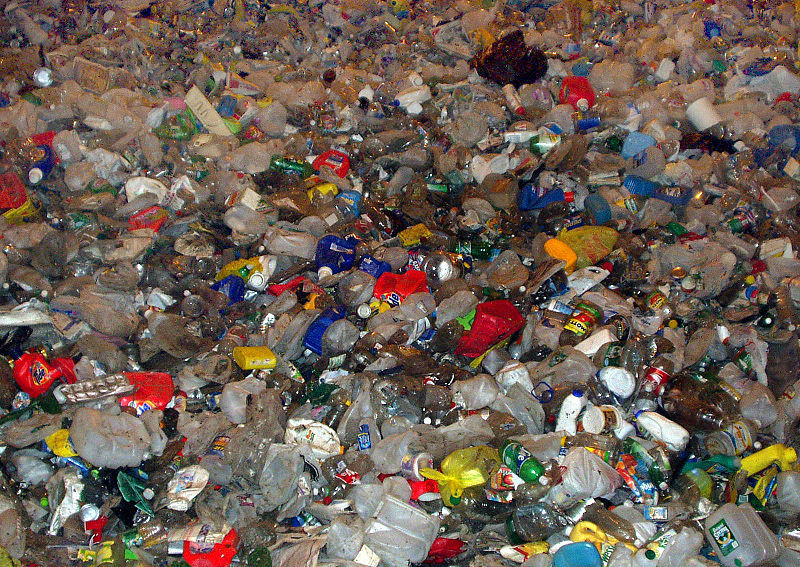 In affluent GCC nations, plastic waste composition in municipal solid waste is around 12 – 16 percent. Plastic waste in the region is continuously increasing due to increasing use of plastics in daily life. 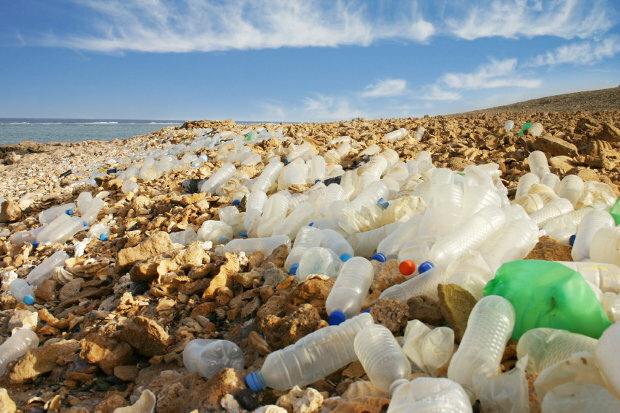 The Middle East is responsible for about 8 percent of the global plastic production. Plastic waste is a source of greenhouse gas emissions and ecological damage. Majority of the items found on beaches across the region contain plastic which pose a serious danger to marine life. Plastic waste disposal is a major challenge due to non-biodegradable nature of plastics and such wastes are visibly present in landfill sites for a long time. Recycling of plastics is one of the best methods for sustainable disposal of plastic wastes. Unfortunately, plastic is much more difficult to recycle than materials like glass, aluminum or paper. A common problem with recycling plastics is that plastics are often made up of more than one kind of polymer or there may be some sort of fibre added to the plastic (a composite). Plastic polymers require greater processing to be recycled as each type melts at different temperatures and has different properties, so careful separation is necessary. Moreover, most plastics are not highly compatible with one another. Apart from familiar applications like recycling bottles and industrial packaging film, there are also new developments like covering pipes, window frames, roofing membranes and flooring. Collection: This is done through roadside collections, special recycling bins and directly from industries that use a lot of plastic. Sorting: At this stage nails and stones are removed, and the plastic is sorted into three types: PET, HDPE and 'other'. Chipping: The sorted plastic is cut into small pieces ready to be melted down. Washing: This stage removes contaminants such as paper labels, dirt and remnants of the product originally contained in the plastic. Pelletization: The plastic is then melted down and extruded into small pellets ready for reuse. Polyethlene terephthalate (PET) and high density polyethylene (HDPE) bottles have high recyclability and are an integral part of most curbside and drop-off recycling programs. Recycled PET and HDPE have many uses and well-established markets. The growth of bottle recycling has been facilitated by the development of processing technologies that increase product purities and reduce operational costs. In contrast, recycling of polyvinyl chloride (PVC) bottles and other materials is limited. A major problem in the recycling of PVC is the high chlorine content in raw PVC (around 56 percent of the polymer's weight) and the high levels of hazardous additives added to the polymer to achieve the desired material quality. As a result, PVC requires separation from other plastics before mechanical recycling. Plastic recycling is still in nascent stages in the Middle East. Some countries have started plastic waste collection programs but their efficacy is yet to be ascertained as most of the collected waste is still sent to countries, like China and India, for recycling. In recent years, several government initiatives have been lauched and plastic recycling centers have been established in UAE, Saudi Arabia, Qatar etc which is a welcome development. For example Ajman observed 'Day Without Plastic Bags' in May 2012 to encourage replacement of plastic bags with those made up of cloth, paper or other eco-friendly material. Apart from infrastructural roadblocks, lack of awareness and low level of community participation are major factors behind increasing generation of plastic wastes. The staggering amount of plastic wastes generated in the Middle East demands a concerted effort from policy-makers and urban planners to devise an effective plastic waste collection and recycling strategy to tackle the menace of plastic wastes. Tagged Ajman, environment, GCC, HDPE, Middle East, PET, Plastic Recycling in Middle East, Plastic Waste Management, Plastic Wastes, Plastic Wastes in Middle East, Plastics, PVC, Recycling, Recycling of Plastics, Solid Wastes, Steps in Plastic Recycling, UAE. Bookmark the permalink. it was due to new regulations reinadgrg the ink in writing on cardboard not being allowed in compost and that it is a temporary measure prior to changes to the waste/recycling collections next April and that it was felt it was a waste of money to issue new boxes now when in all likelihood a new wheely bin will be introduced next year. (! )They said they had spoken to the binmen about which lorries had the most capacity prior to making the decision. Also said that we are free to leave cardboard out separately on black box days and any additional black box items in plastic bags (but not black bags).I used to think we had quite a good and sensible waste/recycling collection but its becoming a little tiresome now bagging the extra cardboard and black box items. At least it appears to be only temporary.Hope that helps. Thanks for the article. Refreshed knowledge once again. Is there any plastice recycling plant in Qatar? If so, is it possible to visit? Recycling of plastic shall significantly reduce the use of virgin material used for new production of goods. Reusing and recycling will reduce the environmental degradation; marine pollution, land pollution, water pollution. Producers should take responsible to collect and reuse or recycle. Government policy frame work can assist to succeed this as such programs are available in some developed countries.